Wio News: The Supreme Court set aside the Board of Control for Cricket in India (BCCI) disciplinary committee’s order imposing a life ban on former Indian cricketer S Sreesanth for his alleged involvement in the 2013 IPL spot-fixing scandal. A bench comprising justices Ashok Bhushan and KM Joseph said the disciplinary committee of the BCCI may reconsider within three months the quantum of punishment to be given to Sreesanth. The bench made it clear that the former cricketer will get the opportunity of being heard by the committee on the quantum of the punishment. “The life ban has been lifted and that’s a big thing,” Sreesanth said after the ruling. “The court has given me a huge lifeline and I am happy with the opportunity given to me,” said the bowler who was 13 short of 100 Test wickets when he was banned. “The Supreme Court has given me a lifeline and it has helped me restore my dignity,” said the banned cricketer. The apex court also said that its verdict shall have no effect on the criminal proceedings pending against the former cricketer in the Delhi High Court, where the Delhi Police has challenged a trial court’s order discharging all accused, including Sreesanth, in the IPL spot-fixing case. The bench passed this order on Sreesanth’s plea challenging the decision of a division bench of the Kerala High Court which had restored the life ban imposed on him by the BCCI. “I have started to practice and hopefully I will be able to start playing cricket soon enough. 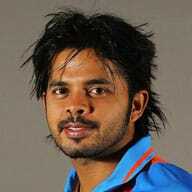 I request the BCCI not to take all 90 days to take a decision on the punishment for me,” Sreesanth said. “I have waited long enough, six years. I want to start by playing club cricket and I am hoping to play in the Scottish league, which starts in April,” he added. The BCCI said Friday it respected the court’s order and would take up Sreesanth’s case in their next meeting. The 11th edition of the IPL will start on March 23 with a game between Chennai Super Kings and Royal Challengers Bangalore in Chennai.